It's the 21st century and I'm still getting dropped calls and poor voice quality like it's the 1980s. What's the point of paying all these monthly phone bills and getting the latest and greatest smartphones when I'm hanging on one bar of signal? 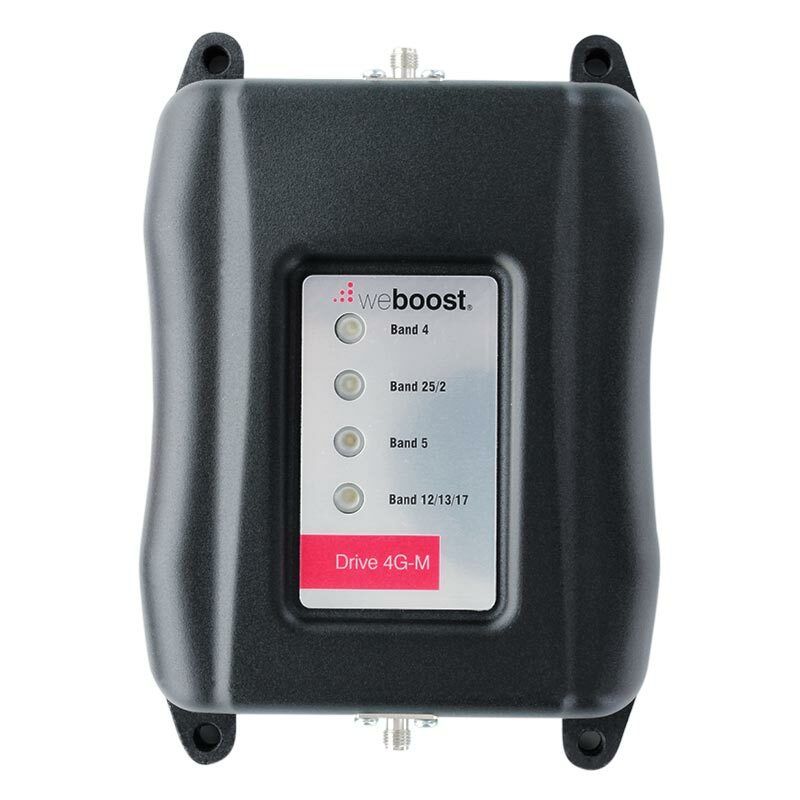 A cell phone antenna booster (also known as cell phone signal booster) ends the dropped calls, poor voice quality, stuck text messages, and slow internet speeds. They work by taking your weak cellular signal and amplifies it up to 32X with patented technology. No cheap gimmicks (cell phone booster stickers & cell phone signal booster apps... cough, cough). It's just more bars and better reception for all your daily digital needs. Works on all phones, all carriers (AT&T, Verizon, Sprint, T-Mobile, US Celluar, etc.) and all 2G, 3G, and 4G frequencies. Here's our most popular cell phone antenna boosters for homes and cars. The cheapest cellular repeater for home. Depending on the outside signal, might get up to 1,500 sq ft. However, this unit is best as a desktop or small workspace area amplifier. Great option for single office, home office (SOHO) and small areas like cabins and apartments. This is the popular signal repeater. Up to 5,000 sq ft of coverage, but averages around 3,000 sq ft for a majority of users. Great option for most homes, small offices, farm houses, and small buildings under 5,000 sq ft wide. If you're getting some spotty reception, we'd recommend starting with this first. This is absolutely the most powerful 3G & 4G signal repeater, extending coverage & service range up to 7,500 sq ft. Users with poor to mediocre signals especially in remote areas should consider this unit first. Very versatile car cell phone repeater. Cheap price. Can be placed on the dashboard. When paired with a bluetooth headset, it really shines. Smartphone has to be in the cradle for maximum signal boost. Might be a tight fit on wider smartphones with thick cases. The most popular car cellular repeater. Boosts up to 4 devices. Majority of customers say they're getting at least 2 to 3 more bars. A few did say they have to be closer to the inside antenna than anticipated to get more bars and amplified signal. You probably did a double-take. What's the difference between the Drive 4G-X and Drive 4G-M other than a letter change? Three words: maximum output power which means farther reach to the cell tower, up to 60%. In fact, it's right at the edge legally allowed by the FCC. Perfect for extremely rural areas. Find more information about cell phone repeaters for home and cellular repeaters for cars.